The ennemy of the hunger on minecraft. You stomach is too small for eat this ?! 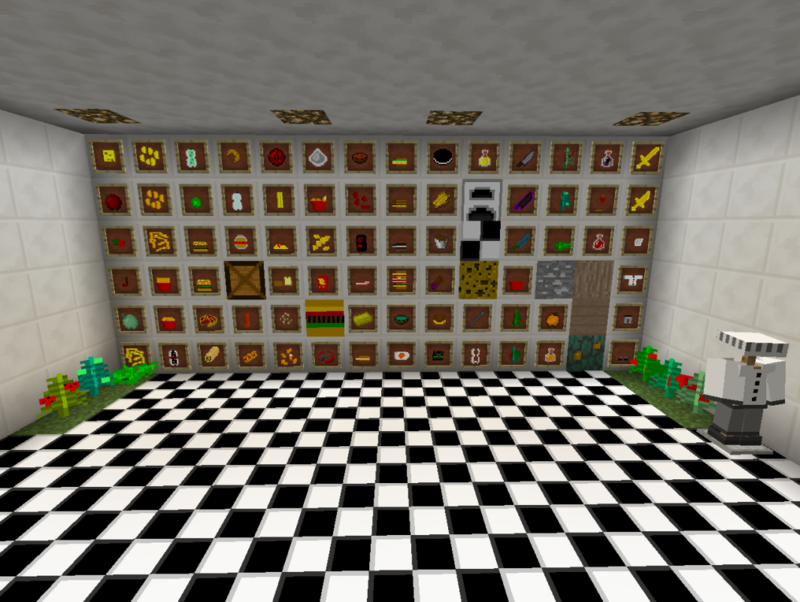 All items/blocks/foods of the mod. It's a dream or the reality ? Wow , It's rare ! You maybe think there are not enough food / good food on minecraft ? Me too , I think this , so , I created this mod . 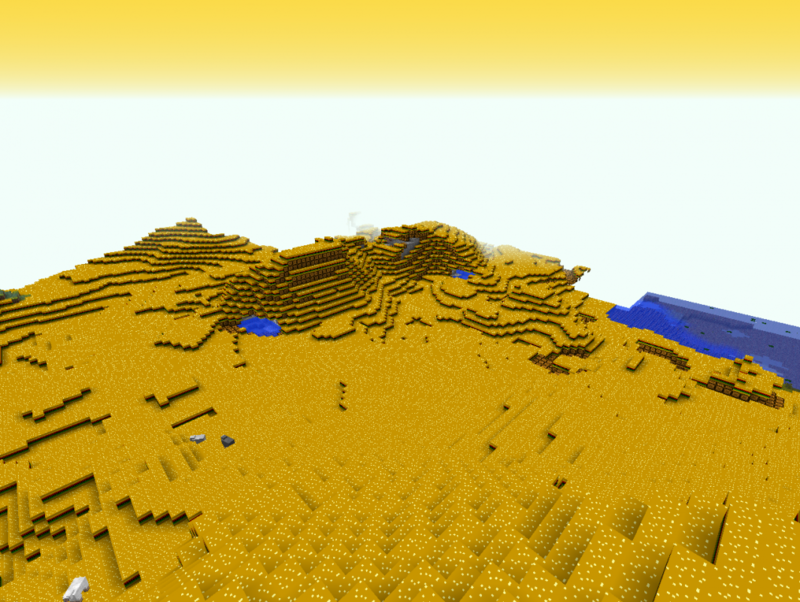 Do you never dreamed of a biome full of cheeseburgers ? Do you never dreamed win a food contest like the weird man at the first picture of the mod ? Do you never dreamed to create a REAL restaurant ? Do you never dreamed to have something to eat when you are hungry ? If you are okay for 1 (or more) of the 5 sentences, this mod is for you. And If you are okay with 0 sentences... look anyway because maybe you'll like it. Lets see the mod ! when I say "give" , I want to say "drop". -Fries Sword : 500 durability & 7 attack damage. -Fries Big Sword : 250 durability & 8 attack damage. -Cooking Knife : It's a tool and you need it for a lot of recipes ! -Back Soul (Cooking Knife) : It's like the Cooking Knife but in demonic. You need it for the demonic recipes ! -Alien Cooking Knife : The most expensive cooking knife.You need it for Aliens recipes ! -Spoon : It's a tool , you need it for create butter. -Bag : It's an item , use it for fries and nuggets. Mustard Crate : Give 3 mustard when breaked and need an axe to break it easily.You can find some in caves or craft. -Tiles Block : A block of tiles like the tiles in the restaurant's kitchens.Use a pickaxe to break it easily. -Cheeseburger Block : give 4 cheeseburgers when breaked.Use an axe to break it easily. -Cheese Block : give 4 cheese when breaked.Use an axe to break it easily. -Smart Meat Furnace : Cook all animals meat (vanilla) when you rightclick it with the meat in your inventory.Use a pickaxe for break it easily. -Orange Three Log : Use an axe to break it easily. -Orange Three Planks : Use it for anything , just decorative.Use an axe to break it easily. -Orange Three Leaves : Use it in a craft to get oranges.Use an axe to break it easily. -Salt ore : give 3 salt when breaked.Use a pickaxe for break it easily. -Tomato Plant : give 3 tomato when breaked. -Pepper Plant : give 2 pepper when breaked. -Chilli Pepper Plant : give 2 chilli pepper when breaked. -Satureonus Plant (alien plant) : give 3 satureonus when breaked. -Strawberry Plant : give 3 strawberrys when breaked. It's a lot of food no ? Try to eat all of this food IRL in 1 hour and you will die so don't do this IRL but if you want you can try this in minecraft. I think I will add entitys for next updates. Here is the list of upgrades I will maybe add shortly. Maybe I will buy a 2nd stomach for me. How to play with the mod ? 2-search %appdata% on your computer after select minecraft and put TheWorldCookingMod and JEI in "mods"
3-Launch your minecraft launcher and create a new game version with forge 1.10.2. 3-Start your Minecraft with the game version. Don't forget to download the mod , leave a comment , a suggestion , an update idea or report bug/glitch/error. I will update the mod very soonly ! Only 1 week after winning MOTW with one of my mods , I winned MOTW with this mod. If you want to add my mod in a modpack , ask in the comments. I added surely the last update of the mod.This update is only for the elite of the elite. This is the secret update.Go on the download thing to get it now. Nothing of the secret update on shown in this mod page , this is why that's secret. Goodbye and enjoy your meal ! Alpha (1.0) : no bugs/errors/glitchs but only a very small number of food. Beta (1.1) : More Food than the alpha but some errors. Don't forget to comment my mod ! Thanks you very much ! I would never think of winning the MOTW 2 times in a row !